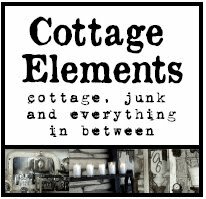 Cottage Elements: I've been Hit by the Kreative Blogger Award! 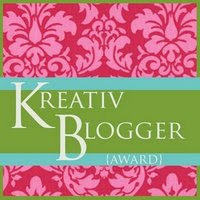 I've been Hit by the Kreative Blogger Award! Blogger Award"! She actually gave this to me awhile ago (hey, I went on vacation!) and I'm just playing catch up. Does that make me not very creative? Sorry, Stacey. So according to the "rules" of this award I need to list six things that make me happy and pass it on to six other bloggers. Now to pass it on to six other bloggers . . .
Again, thanks, Stacey. And thanks to those who have inspired me in their Kreative Blogs! How very nice of you to send this award my way! Yours is well deserved I might add. 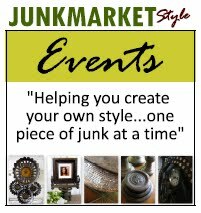 I'm envious of the junk stash you have and the creative ideas you use in your home. Thanks, Lani! 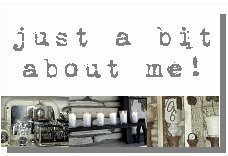 I'll be posting the exciting news on my blog tonight!